Looking for the Cast List? Click here for those details. 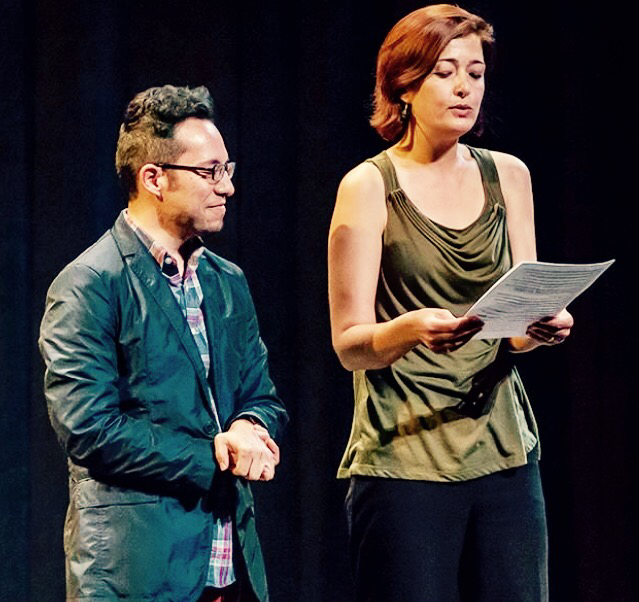 Artistic Directors Justin Lucero and Megan McQueen announce Disney's Beauty and the Beast on the Medoff stage as invitees to NMSU Theatre Department's first annual Regional Arts Preview. 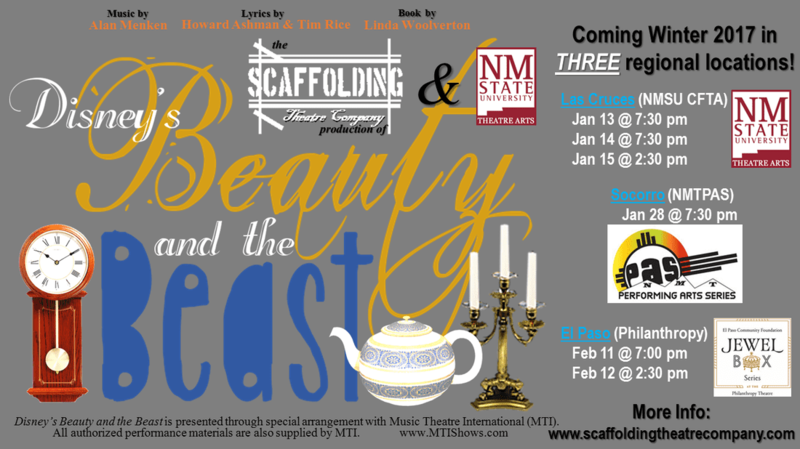 Scaffolding Theater Company enthusiastically invites you to "Be Our Guest" for our winter production (and three-stop "tour") of Disney's Beauty and the Beast. We will be partnering with NMSU Theatre Arts who will host three Las Cruces performances on the stage of the ASNMSU Center for the Arts on January 13, 14 and 15. The show will then perform as part of NM Tech’s Performing Arts Series in Socorro. NM on January 28. Tickets available for this tour leg NOW! Finally there will be two performance at El Paso’s downtown Philanthropy Theatre (at the Plaza Theatre) on February 11 and 12 as a part of the city's annual Jewel Box Series. Tickets available for this tour leg NOW! As with Chicago, and all of our productions, our presentation of Disney’s classic tale will include all the songs you know and love, yet we will radically re-envision the show to enhance its theatrical magic. As three generations of a modern family gathers in their grandparents’ cluttered but welcoming home, they decide to reenact this timeless fairy tale. Young and old alike each step into and out of various roles aided by grandma and grandpa’s readily available teacups, candlesticks, clocks, stacks of books, taxidermy, and other delightful keepsakes and trinkets that take us on a familiar and magical journey. 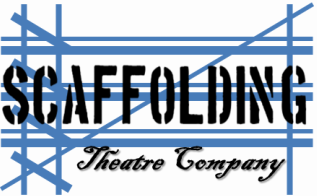 Escape with us as every actor transforms between principal roles and ensemble… sometimes even functioning as scenic elements to playfully convey this heartwarming story. Meanwhile, be sure to shoot us an email if you're unsure whether you are on our mailing list, and double-check that you have "liked" our Facebook page. Stay tuned for info on sponsoring Disney's Beauty and the Beast !